Anybody admitted to Univ. Of Vienna: LLM in Int. Legal Studies? 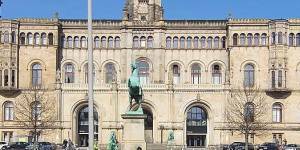 I applied to University of Vienna and my documents were recieved on February 28th. I haven't got any confirmation about the receipt of my application till date! I have written to them a couple of times asking for the same, but I haven't heard from them. Since there is no online portal, there seems to be no other way of tracking my application. Has anybody been offered an admission for the LLM in International Legal Studies program? By when can I expect to hear from them? Hi, I studied this LL.M Program International Legal Studies in Vienna a while ago. Vienna's professors are intriguing personalities. Also the program manager put a lot of effort in helping us with administrative issues and orientation. The Program organised several study trips: The professors are known everywhere, and the program Manager is a great networker, she was soo helpful!. If I had to choose again, I would aim at the knowhow of the teachers as well as the management. I appreciated both. In case you’ve been accepted, ’m sure you must have received an answer and additional help by now. If it’s the same program manager, you’re in good hands!